The most important economic issue facing the country today is how to stabilize the economy and restore growth. The problem is compounded by the fact that the world is experiencing the worst financial crisis since the Great Depression. Papers and discussion in the session will focus on the issue of restarting and sustaining growth in Pakistan and the implications of the global crisis for economic growth in South Asia. Besides SAFTA, Pakistan has signed Free Trade Agreements (FTAs) with Sri Lanka, Malaysia and China and is negotiating FTAs with over a dozen other countries. However, the FTAs have not resulted in any significant increased trade with these countries. In this session, papers will focus on Pakistan’s experience with FTAs their potential for promoting Pakistan’s exports and what needs to be done to realize this potential. Since the early 1970s, Pakistan has experienced several accelerations in growth but invariably these have been brought to an end by a balance of payments crisis. Throughout this period, Pakistan has maintained an overvalued exchange rate and an incentive structure that favored production for the domestic market or the non-tradable sector. 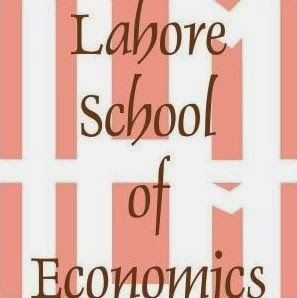 The incentive structure and trade policies have also given rise to an inward looking and rent seeking industrial elite which has become a barrier to accelerating exports. The papers in this session will focus on factors responsible for the current industrial structure and policies needed to diversify and accelerate exports. Session 4 – Liberalizing Trade and Investment with India: A Recipe for Higher Growth? Because of sustained and accelerating growth since the early 1980s, today, India is one of the fastest growing markets in the world. Pakistan, as a neighbor could be a major beneficiary of this growth. However, trade between Pakistan and India, especially overland, is highly restricted and direct investment from one country to the other is not permitted. The papers in this session will discuss the potential of trade and investment with India to provide a new vent for growth for the Pakistan economy, as well as its possible adverse impacts on industry and balance and payments. In the past decades a lot of expenditure has gone into health, education and other social sectors but has failed to translate into effective programs for public service delivery. Field-based experiments with pilot interventions are the only way to find out what actually works on the ground and better understand the details for a successful intervention. In the panel session we will discuss the evidence from international experiments and lessons for program design of service delivery in Pakistan.